Standing, at 158 metres (518 ft), high above the surrounding countryside, the hill offers wide views. This is looking south east. 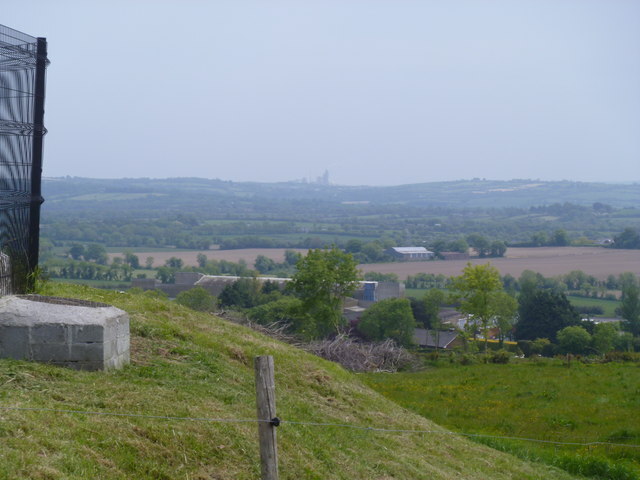 The Irish Cement works at Platin, some 10 kilometres distant, can been discerned on the horizon. © Copyright Michael Dibb and licensed for reuse under this Creative Commons Licence.